Over the years, bathrooms have transformed from a quick-in-out “business” place to an oasis. If you’re anything like me, when you’re shopping for a home, the bathroom is definitely my number two priority (no pun intended) following the kitchen. But, there’s good reason: bathrooms have become our personal spas and beauty salons. I spend a lot of time in the washroom! I enjoy taking long soaks in the tub — using all of those fancy bath products typically gifted around the holiday season. And I enjoy playing with makeup — also gifted — and hair products. If I were to add it up, I’d say I typically spend at least 40 minutes a day in my bathroom. I take my sweet time getting ready for work in the morning. Mostly because I’m fighting with my winged eyeliner to ensure it matches (I know, I know — sisters not twins). But! Because I spend a lot of my time in there, is it so much to ask for a nice space? Going out to local bars and restaurants you can see that bathroom trends have changed a lot over the years. 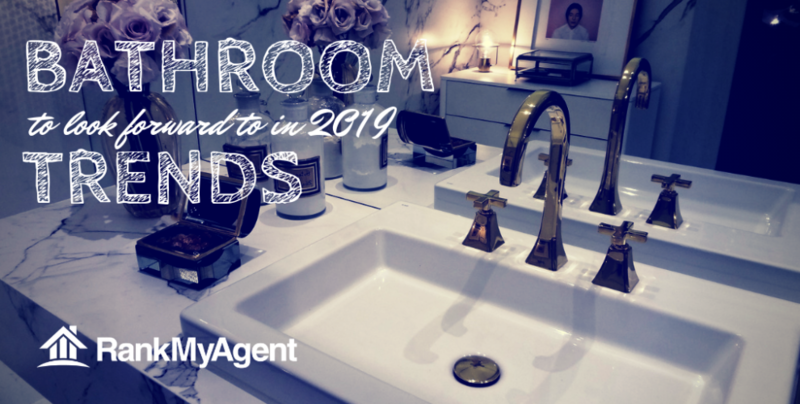 And 2019’s bathroom trends are no exception. You will see a lot of new styles hitting these throne rooms come the new year. Anything from vintage vanities and mirrors to bathrooms that look like you walked onto the set of Netflix’s Black Mirror. 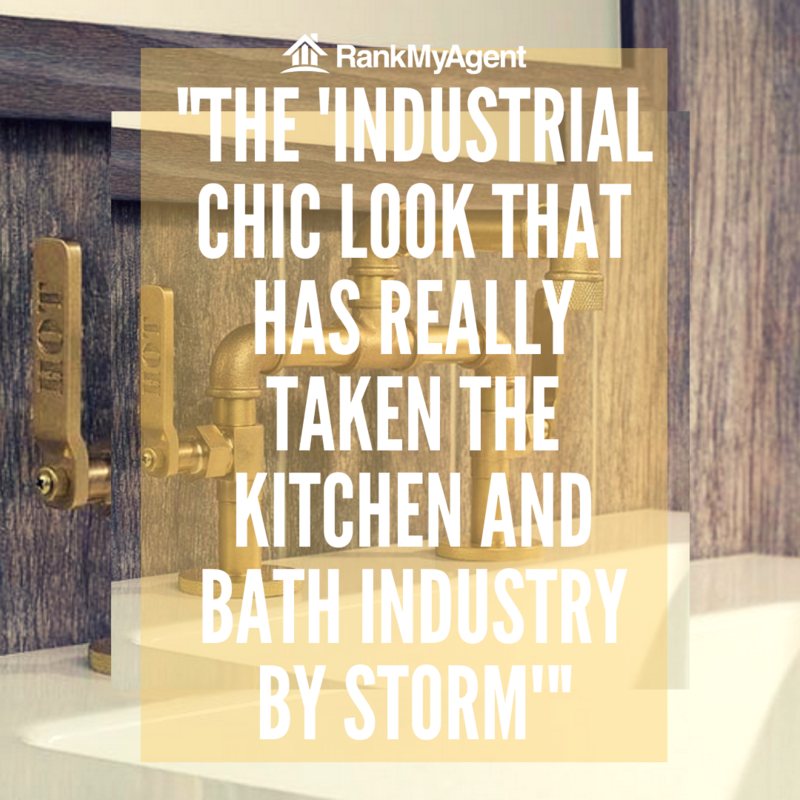 Mike Docherty from The Royal Flush Boutique, a decorative plumbing and hardware store in Calgary’s Mission neighbourhood says one of the most notable trends is special finishes on fixtures. “It seems like every fashion-forward manufacturer has a new line that has that raw exposed pipe look with knurling on the handles,” Mike says. Keep your eye on producers such as Watermark Designs, Crosswater London, Samuel Health, California Faucets and Brizo, Mike added. Vintage items have always been sought after. There is something about a classic timepiece that is just transformative. Perhaps it is because it makes us think of simpler times, or maybe it pulls at our fascination for the old-school glitzy Hollywood era. Or, perhaps, we just enjoy rooting around at garage and estate sales or hitting the local thrift shop. It’s like treasure hunting. Well, now, you’ll find a lot of these treasures featured in water closets. Old dressers are being reimagined as vanities. 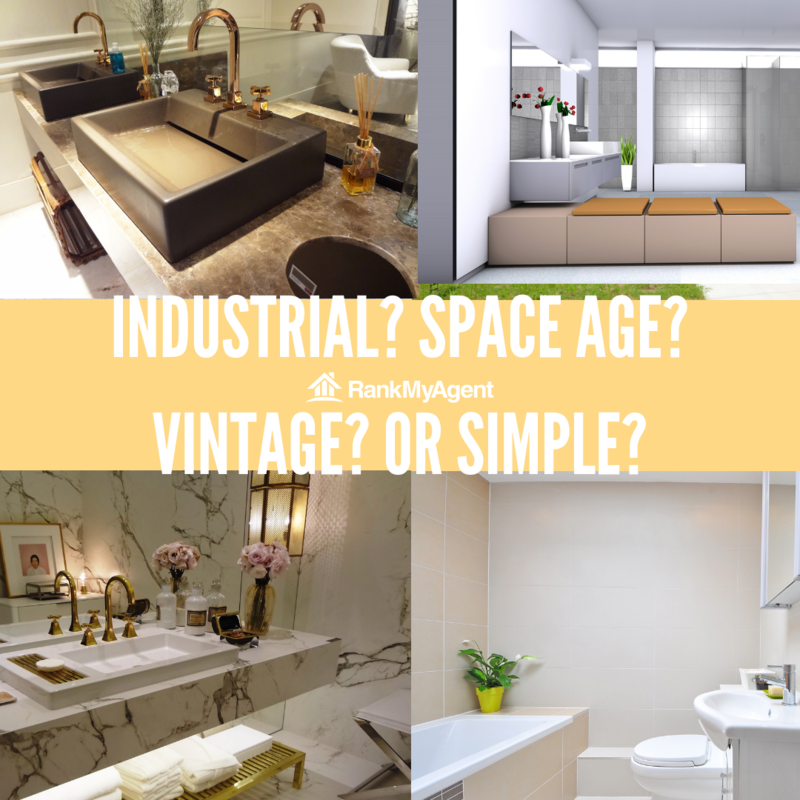 Vintage sinks are being cleaned, revamped and reinstalled in modern bathrooms. Gold and copper plumbing is being left exposed and clawfoot tubs have made a comeback as a nod to bathrooms of yesteryear. My personal favourite vintage bathroom motif is adding in those classic tiles boasting geometric patterns. I find they can really tie a room together — even with more modern vanities and accessories, the tiles alone can transport you to another time. Mixing old with new is also a popular fashion choice, so don’t be afraid to flip the calendar forward while designing your new space. Adding wood elements throughout your personal haven is a great idea if you are chasing that relaxing oasis style. Imagine a crisp winter white bathroom adorned with pop colour accessories and a wooden feature wall. Tie in additional wooden accessories to nod to the feature wall like toothbrush holders, baskets or even the mirror frame. Add some greenery to really bring nature into the space. Now, take a deep breath, add in that bath bomb you’ve been waiting so long to use and relax. Reclaimed wood is a perfect option for attaining this type of design. That old barn wood being upcycled is not only great for the environment but because the wood has been exposed to the elements, it is more likely to withstand the high-humidity without warping as it has been completely dried out. Also, it adds an instantaneous-snap-of-your-fingers farmhouse style to your space. Technology is all around us. It is in every room in the house. So, you best believe it when I say it’s a-OK to bring that tech into the bathroom as well! Whether you add LED backlighting to your mirror, or you program your voice-activated Alexa or Echo to dim the lighting before you enter, you can have technology working for you to create that spa space that is so desired. Smart mirrors are an option to bring your bathroom into the digital era. Not only do these mirrors offer a backlight, but they often have stereo speakers and a heating component which means no more foggy mirrors post steamy showers. And, they are becoming a viable place to get the news with their tech displays that cover headlines through to weather forecasts and traffic. How about towel heaters, or digital showers that can be controlled by your smartphone to ensure consistent temperatures and settings. Finally, the perfect shower can be had time and time again without dipping your toes in first! These high-tech aspects are also very stylish. 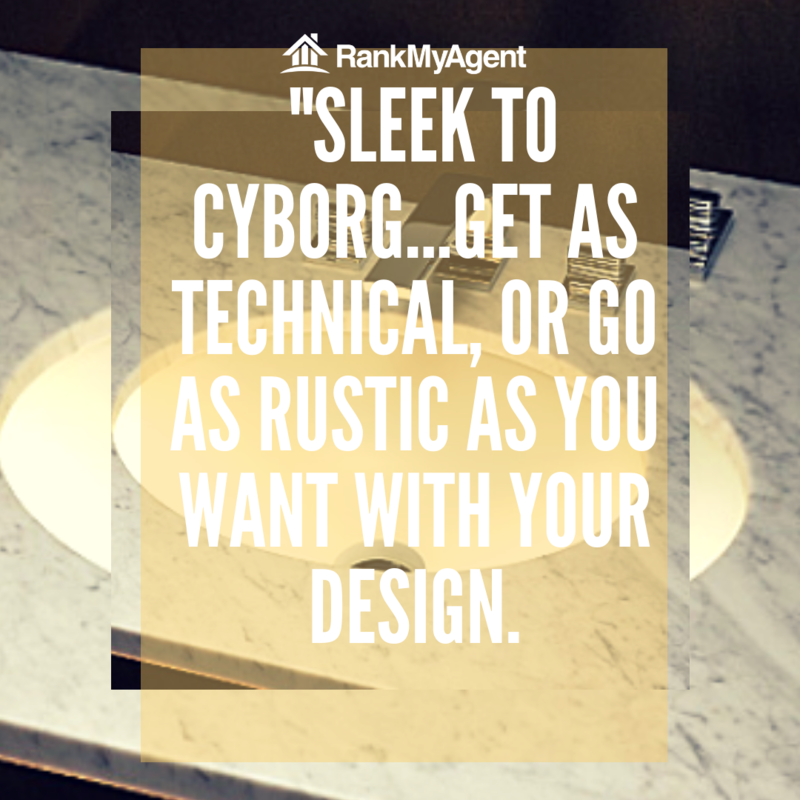 They come in a variety of designs from sleek to cyborg, so you can get as technical, or go as rustic as you want with your design. Say good riddance to all of the bathroom clutter that seems to grow and grow and go untouched for years. Bathrooms, like the rest of our lives, are becoming more streamlined. This means ditching the clutter and embrace the minimalist methods in the water closet. Add a floating shelf to the space to showcase some of your stylish and functional bathroom trinkets; that unique perfume bottle, those cute jars that store your cotton rounds, you know? Try some lower enclosed racks under the sink for those daily use products. You create an open space by reducing the number of cabinets and storage units in a space. Aim for simple and small. Cater to those necessities to de-clutter while creating a relaxing environment. Bathroom trends change every year and you really just have to find what works for you and your space. The best part about these trends I’ve talked about is that they can all be pieced together and incorporated in the same space if you’d like. The Royal Flush Boutique’s Mike Docherty says another thing to consider for a stylish powder room is an undermounted sink. Undermounted sinks allow some of that desirable industrial piping to be exposed in a unique fashion. Mike says Native Trails, Vitraform and Link A Sink have an excellent variety to choose from. Remember, to update your bathroom space, you don’t need to do a complete overhaul either. Often times a coat of a paint or a new bathroom mirror or faucet can give the entire room a facelift without breaking the bank. Sharmaine is the amazing Social Media and Account Manager at RMA.